Nintendo’s digital event went live this morning, and they showed off an array of games including the first footage of the upcoming Zelda game, Smash Brothers, and Yoshi title. As we discussed during last year’s E3, Nintendo has really been upping the amount of female protagonists in their recent titles. They are continuing this trend this year by announcing several games with playable protagonists who are female. -Hyrule Warriors currently features 3 of 4 female characters as protagonists, including Impa, Midna, and Zelda. -More female characters in Smash brothers than ever before, including new entries such as Palutena, Wii-Fit Trainer, and a female villager. However, the biggest news seems to be coming out of one of Nintendo’s biggest franchise: The Legend of Zelda. While unconfirmed, it seems as though we may be a Link whose gender is up for customization. I…can’t tell. Link has a ponytail and is certainly looking a lot more feminine than in previous entries. 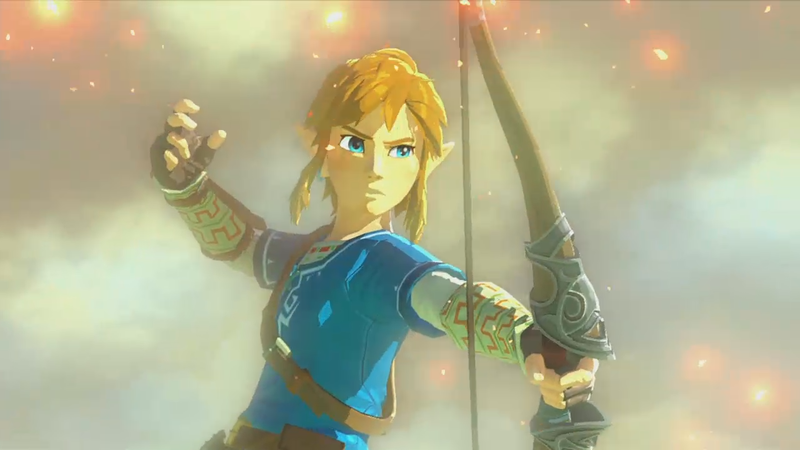 It could honestly go either way: is Link becoming more androgynous, or can you change the character’s gender? With the news of the gaming being more open world, it’s not unlikely that Link will be more changeable than ever before. Guess we’ll find out as more details about the game come out. This entry was posted in equality, gaming, Uncategorized, video games and tagged e3, legend of zelda, Nintendo, Smash Brothers, sociology, Zelda. Bookmark the permalink.